For all of us international volunteers serving here in Africa with Hands at Work, maintaining our blogs is such an important way for us to communicate with family, friends and supporters from back home and update them on what’s been happening here in Africa. I think we can all agree, however, that sometimes writing a blog post can seem like a bit of a burden. So, to switch things up a bit, this month a few of us have decided to do a blog exchange! Basically, you write a blog for someone. Someone else writes your blog for you. Simple as that. 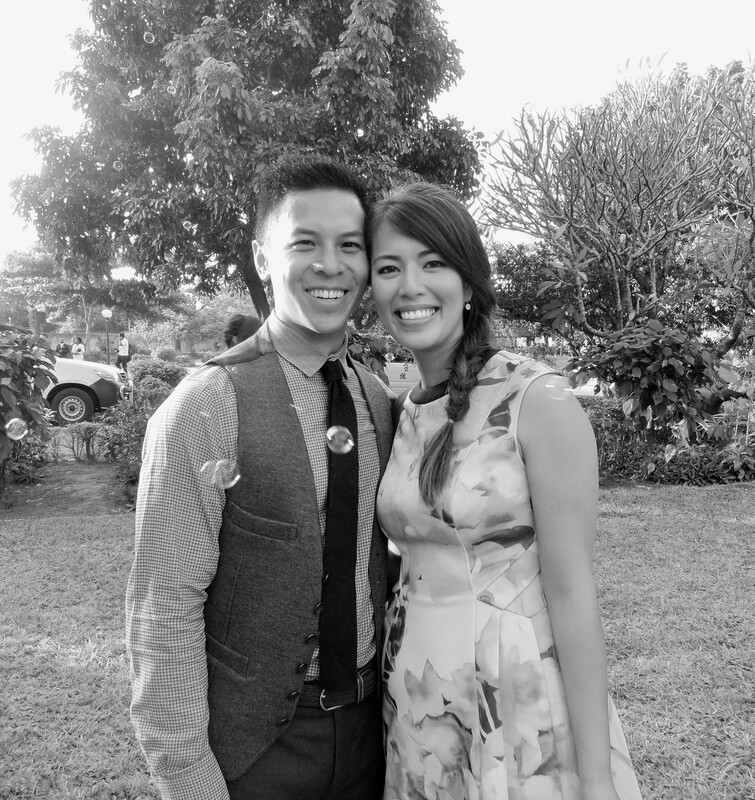 We are Diane and Byron Chan. We’re Canadians serving alongside Mel here in Africa. We met Mel when she arrived in South Africa 2 years ago, in February 2013. We had already been serving in Africa for 6 months and were stationed in Zambia but, at that particular time, we were temporarily back at the Hub in South Africa after returning from Christmas break. The day after Mel arrived, we were off back to Zambia again while she remained in South Africa for orientation. 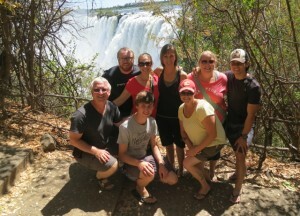 It wasn’t until late April of that year, when Mel had the opportunity to travel to Malawi and then later to Zambia that we had more of a chance to get to know her. We were being sent back to South Africa at the beginning of May and so we convoyed in 2 vehicles, driving back with Mel and 4 other volunteers on a 3-day road trip all the way back to the Hub. It was great times! For the remainder of 2013, with all of us based at the Hub in South Africa, we got to know Mel much better and quickly became close friends. Her easy going nature and kind spirit allowed her to develop close relationships with many of us international volunteers. As you all know, Mel is diligent with her training. So, for most of 2013, the three of us would train together almost every morning, doing crazy things like Insanity! 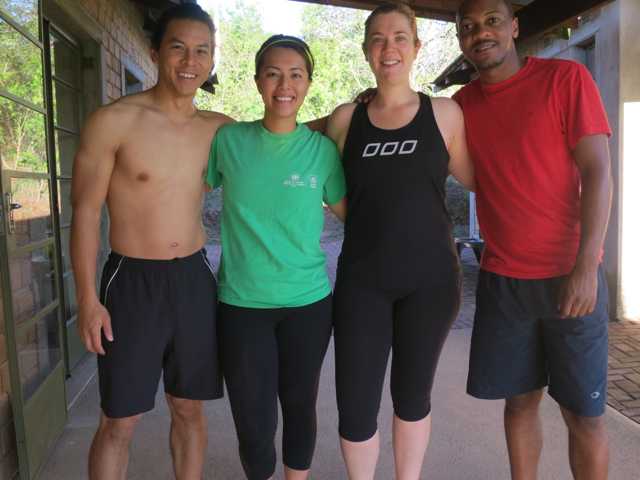 Mel even helped to convince our friend, Kelvin (pictured below), a Zimbabwean who was serving with us at Hands, to join our morning work out sessions. She was such a motivator and encourager to both Kelvin and to us and helped to keep all of us accountable! Sadly, Kelvin left Hands at Work later that year but not before we could commemorate our little Hands Workout Crew. Since early 2014, as most of you already know, Mel has been based out of our regional office in Zambia called Kachele. 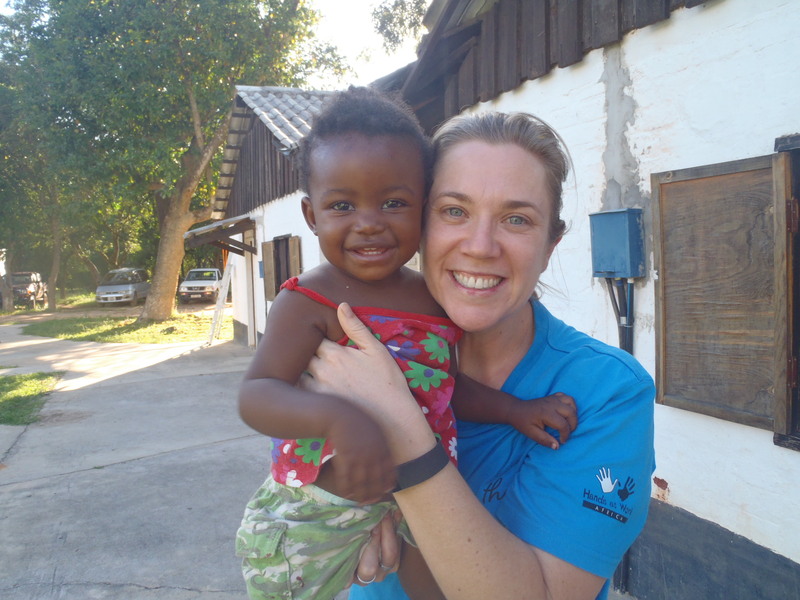 Mel was sent to Kachele at a time when we desperately needed international volunteers to come alongside our local Zambians in the work that was happening there. Since day one, Mel dove head first into both the community life at Kachele and the work, playing a pivotal role in building and developing a structure for our team there. Despite often being run off her feet by the sheer amount of work and responsibility she takes on, Mel still always makes time to give Shalom (one of our local Zambian leaders’ daughter) a snuggle, check in to see how fellow international volunteers are doing, or support our local African volunteers. Mel serves in the most humble, gentle way, always putting relationships first. It didn’t take long for Mel to earn the respect and build the trust of those she works with. From the Hub in South Africa, we often hear reports of how Mel is a “rock star” and of how she has been such a godsend at Kachele. A major part of Byron’s role is to support Mel and he has seen firsthand the impact she has had and the tremendous amount of growth that she has experienced in the past year. It has truly been a privilege for him to work alongside Mel so closely and for the two of them to have developed a strong bond through that. From very early on in her time here at Hands, we knew that Mel was going to be a key member of this community. Her spiritual maturity, conviction in her calling to serve in Africa, and her eagerness to learn and jump right into things set her apart. We were amazed to hear how, after spending just 2 weeks in Africa back in 2011, Mel knew in her heart that God was calling her to come back in a long-term capacity. Hearing about the family, the many dear friends, and the career that she left behind to come to Africa reminds us of the sacrifices she has had to make to follow God’s call. As Mel has mentioned in previous blog posts, while she would never exchange the life she feels privileged to live here in Africa or the vision that she is a part of, it can be tough sometimes. For Mel, missing out on the major life events and milestones of her family and closest friends is heartbreaking. Nonetheless, Mel continues to invest deeply into the Hands community, into the children and local African volunteers she serves, and into relationships with other international volunteers such as us. All of these qualities make Mel the person that she is. She has been a blessing to us and to many around here. Thank you to her family and friends back home who have released her to follow God’s heart for the vulnerable children in Africa!